Most of us take for granted that our trash will be picked up on time, our drinking water will be clean, and our public facilities will be adequately maintained. But College Station’s public works infrastructure, facilities, and services wouldn’t be possible without the dedicated professionals of the Public Works Department. Efficient and professional public works programs manage our water, sewer, streets, traffic operations, stormwater drainage, fleet maintenance, public building maintenance, recycling and solid waste collection. These services are vital to the safety, health and high quality of life we enjoy in our growing community. This week marks the 58th annual National Public Works Week, which celebrates the thousands of men and women across the United States and Canada who provide and maintain the infrastructure and services known as public works. 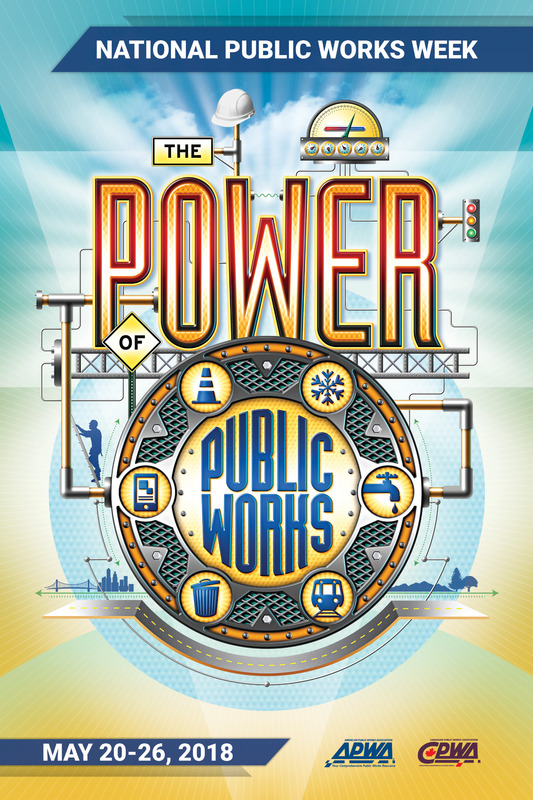 This year’s theme is “The Power of Public Works,” which celebrates the impact public works has on modern civilization. Did you know that College Station is the only city of our size (80,000-150,000 population) in Texas to be nationally accredited in both Public Works and Water Services? Administered by the American Public Works Association (APWA), the accreditation program recognizes agencies that go beyond the requirements of established industry practices. The College Station Public Works Department consists of eight divisions — Capital Projects, Facility Maintenance, Streets Maintenance, Drainage Maintenance, Traffic Operations, Sanitation, Fleet Services and Administration. Our 124 employees deliver sanitation services and plan, build and maintain the infrastructure that allows our community to grow and prosper. Since 1960, the APWA has sponsored National Public Works Week as a way for its 28,000 members to educate the public on the importance of public works in their daily lives. The occasion is marked each year with scores of resolutions and proclamations from mayors, governors, and presidents. As we observe National Public Works Week, we honor and thank the employees of our Public Works and Water Services departments for their professionalism, hard work and the high level of dedicated service they provide to our community every day. (L-R) Mark Mcauliffe, Troy Rother, Raquel Gonzales, Susan Monnat, Mayor Karl Mooney, Donald Harmon, Martin Mcgehee, Jason Best. Sanitation Superintendent Wally Urrutia is in his 31st year with the City of College Station. He was named Solid Waste Manager of the Year in 2016 by the Texas Public Works Association. This entry was posted on May 21, 2018 by City of College Station. 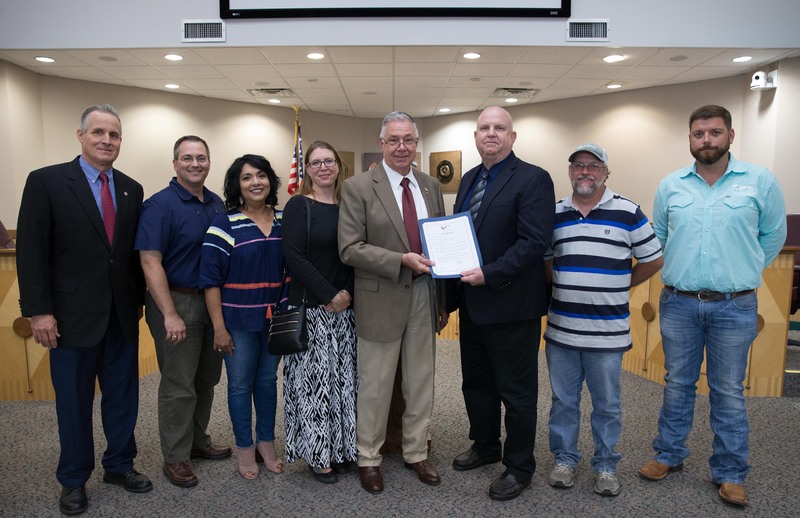 It was filed under Public Communications, Public Works and was tagged with 2018 National Public Works Week, National Public Works Week, public works.